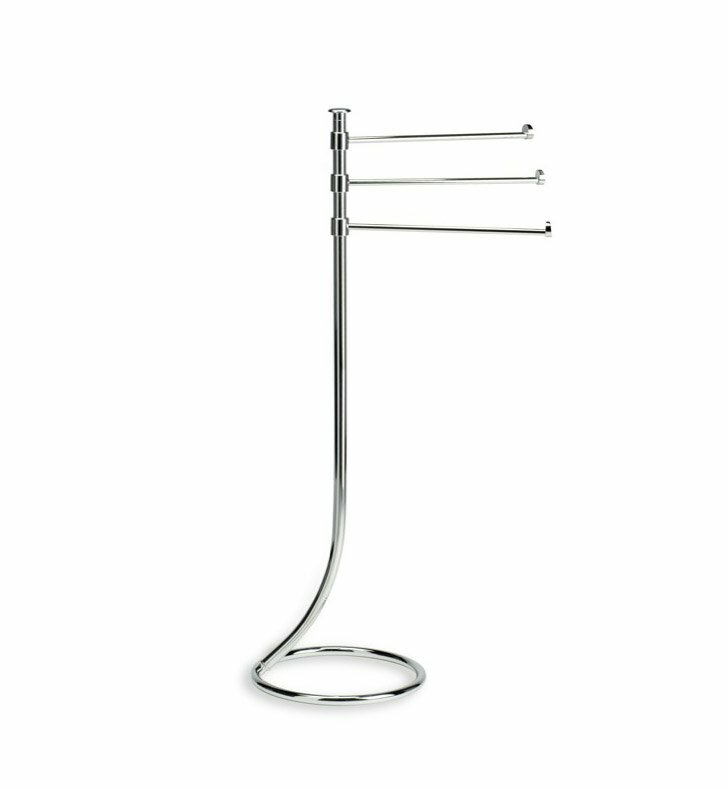 StilHaus' Venus free standing towel rack is a towel holder that is perfect for a contemporary style personal bath. Made in Italy by StilHaus, this floor standing free standing towel rack is a high-quality solution for your designer bath. This unique free standing towel rack is made of high-end brass and finished in chrome or brushed nickel.